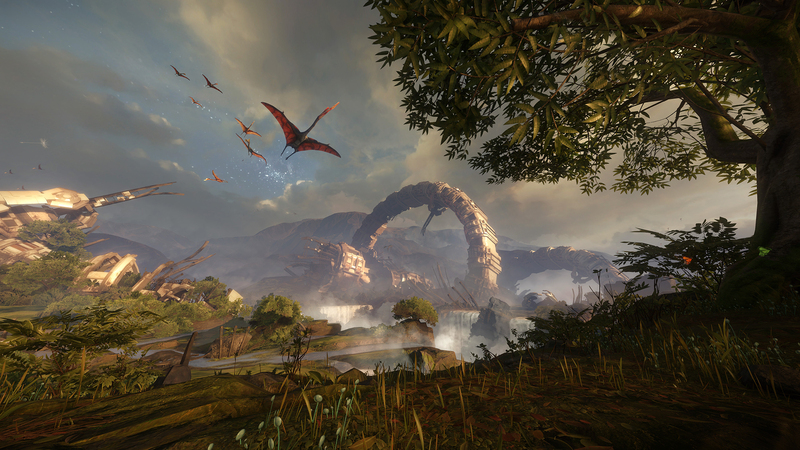 Players are invited to interact with another world in Crytek’s VR showcase. Crytek released its Back to Dinosaur Island 2 virtual reality demo as a free download today, giving players everywhere the chance to experience the combined power of CRYENGINE and VR hardware. Back to Dinosaur Island 2 received a glowing reception when it was first shown to attendees at E3 2015 and has previously only been playable at select industry events. Now, however, gamers everywhere can sample the VR experience firsthand by downloading it for free from Steam. Crytek has also released a video that offers a glimpse of what to expect in the demo. The video is now playing at YouTube, and gamers can visit www.crytek.com and www.cryengine.com for the latest news on Crytek’s ongoing work in VR. Back to Dinosaur Island 2 can be played using any VR headset with Rift SDK 0.8 and later.